Thank you, Mr President. This is a joint statement on behalf of Cairo Institute for Human Rights Studies, CIVICUS, FORUM-ASIA, International Commission of Jurists, International Rehabilitation Council for Torture Victims, and International Service for Human Rights. Mr President, we remain deeply concerned about continuing reprisals against those who cooperate with the UN human rights mechanisms. We acknowledge that the Council has demonstrated more awareness of the issue of reprisals and appreciate the integration of reprisals in resolutions renewing special procedures mandates, such as that of the Working Group on Arbitrary Detention at the 15th regular session. We encourage the Council to continue this approach and mainstream such language in all resolutions that create or renew special procedure mandates. We welcome the continued attention given to the issue of reprisals in the outcome of the recently concluded review process. However, the time has come for the Council to move beyond expressions of concern and condemnation to begin to develop concrete responses. The Secretary-General’s report on reprisals against those cooperating with the UN human rights system is a starting point. But the cases reported here no more than scrape the surface of the real extent of the problem. Those who suffer reprisals are often reluctant to report them, fearing to suffer further attacks. The collection of information for the Secretary-General’s report to be presented in June to the Council has clearly confirmed this. By failing to follow-up on the cases reported to it, the Council further compounds the vulnerability of the victims. It is therefore essential that the Council take steps to ensure that each victim’s case is taken seriously by the government concerned and properly investigated, that the victims are not subject to further attacks, and that States are held accountable when they fail to take these steps. We regret the lost opportunity to use the review of the Council to develop a concrete response to reprisals. We encourage the idea of an annual panel on reprisals proposed in discussions on the agenda and programme of work. This would allow the issue to be placed firmly on the Council’s agenda and ensure visibility and follow-up for the cases included in the Secretary-General’s report. We welcome the emphasis given by States today on flagging that report ahead of time, and urge States mentioned in the next report to brief the Council in June. However more needs to be done. We reiterate our call on you, Mr President, to ensure that States provide the Council with timely information on cases of reprisals, as your predecessors have done following incidents in Kenya and Colombia. Most importantly, individuals need to be assured that in cooperating with the UN human rights system, they will be protected from harm. Without this assurance the Council and other human rights mechanisms will lose access to the valuable information from the ground that they need to take informed decisions regarding developing human rights situations. OHCHR’s presence in the field should play a key role in ensuring the physical protection of persons communicating with human rights mechanisms. The development of a concrete response requires input and specific recommendations from all human rights mechanisms, including the special procedures, Treaty Bodies, the Universal Periodic Review, and OHCHR. In this respect we welcome in particular the recent statements to the Council by the Chair of the Working Group on Arbitrary Detention. 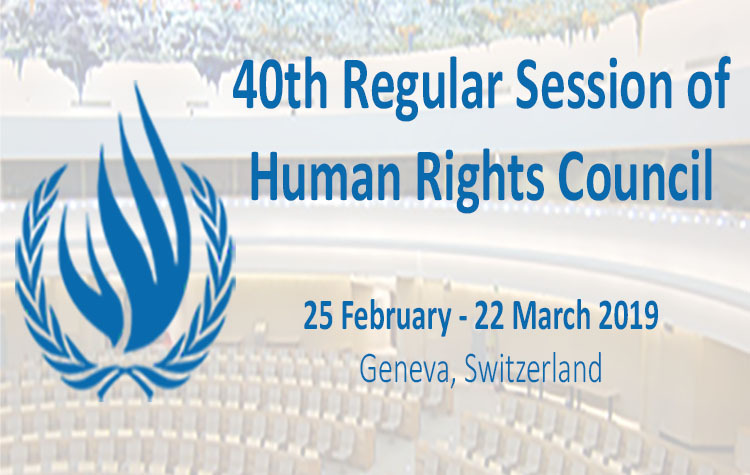 ISHR together with other co-organizers will be hosting a side event tomorrow at 1pm which we hope will provide a forum for stakeholders to offer their recommendations on the concrete steps that can be taken to respond to the issue of reprisals and we encourage all here today to attend and contribute to the discussion. Thank you, Mr. President.